Looking for private in-home or in-studio Songwriting lessons? Our Coupland teachers are ready to get you started. Find your teacher today! Check out some of our most popular teachers near Coupland, TX including Austin, Round Rock, Cedar Park, Pflugerville and Leander. Songwriting and music production, from conception to finished product. Creating chord progressions, beats, melodys & lyrics, then recording, mixing, and mastering. I'm a professional bass player in Austin Texas, the Live Music Capital of the World. At one time or another I've played just about every style of music, and I have more than a decade of teaching experience. I love 'opening doors' for students, helping them understand how music works and how they can sound better than ever. I graduated from B.I.T. in Los Angeles and I have thousands of hours of teaching, gigging, and recording experience. I'll share that experience with you! I like to use real music to show how technical concepts work. Once I've gotten to know you and your musical goals and preferences, I'll point you towards the knowledge you need, and show you how that knowledge works in the music you like. I bring my bass, iPod, tuner, drum machine,manuscript paper,etc. The student needs to provide adequate space and amplification. Theory, fingerstyle, thumb, reading notation & chord symbols, blues, country, funk, jazz, rock, soul. Rob is incredibly knowledgable and was able to hone in immediately on both what I needed AND what I was asking for. I look forward to more lessons in the future. Very patient instruction for my 10 year old son. very good first lesson. I look forward to the next one. Thanks. Learn to write your own original songs from instrumental to vocals. You will receive personal instruction to give you positive encouragement to be the best musician or singer. Lessons will include some of the following, but not limited to. For example: Comprehensive Music Theory, how to play and or sing scales, commonly used musical terms, uses of different clefs, notation, dynamic markings, tempo, time signatures, sight-singing and reading, ear-training, and much much more!!! After 3 or 6 months you will have mastered principle elements to make wonderful music! He prefer to use two different types of curriculum. They are Bastien's and Alfred's. He provide a stress-free learning environment to help you to reach your musical goals. I was looking forward to studying with Tramane. We began discussing lessons over a month ago and set up a time to begin. An hour before the lesson was to begin, I received a message saying that the lesson was canceled. I later learned that he had a family emergency. The next scheduled lesson was tonight. I received a message from Take Lessons reminding me of the lesson and prepared myself for what I hoped would be an excellent lesson. It was to have begun at 8:30. At 8:30, I was in the classroom waiting on the instructor. At 8:40 I was still waiting and decided to send an email. No response. At 8:45, I sent a text. Shortly thereafter I received a message indicating that we would NOT have a lesson this evening (this was 15 minutes AFTER the lesson was supposed to have started) and that the date and time was not good for him. He would have to check his schedule. In all my years of studying music, I can't recall a more cavalier response to a scheduled lesson that had been pre-paid. I won't be continuing. This instructor doesn't seem to be able to be able to manage his time sufficiently well to complete scheduled lessons that have been paid for. I will be seeking a full refund. Tramane is a good teacher but we struggled with rescheduling of appointments. Tramane is very patient and reliable. Individually catered songwriting lessons in a co-write session. All in-home lessons are an hour minimum. Aimee''s Music Studio is a privately operated studio for music instruction hosted by award winning and international touring songwriter/performer, Aimee, in downtown Austin, TX. Both private and group lessons are available in guitar, piano, electric bass, and songwriting. Students vary in age from 5 years to 60 + years and are of a beginner and intermediate level. Lessons are conducted in 30 to 60 minute intervals. Styles studied are in the popular music genre (rock, pop, country, blues and fingerpicking techniques). 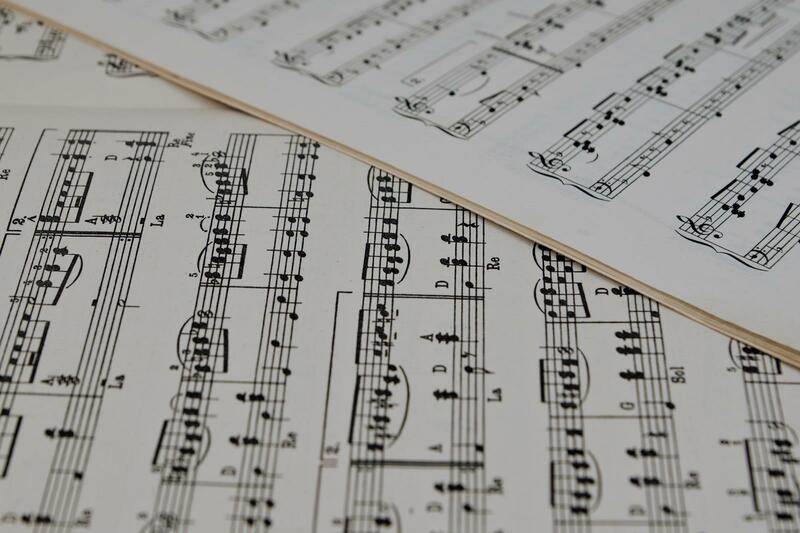 Music fundamentals in reading, tablature, scales, and ear training are stressed and all lessons are supplemented with audio and visual reference material recorded during lessons. I provide my instrument, stand, music and charts. The student provides their instrument and a quiet, undisturbed working space. As a professional performing artist I help intermediate students adapt songs for performance and explore performance from a background in acting. From the moment you walk on stage the performance has begun. We discuss how to introduce a song, talk on the mic between songs, and how to deliver an energetic engaging performance. I work directly with students wanting to compose and write their own songs. We look a different techniques to help you get "un-stuck" and to widen your chord range and feel in songs. Co-writing is included upon request. I have with both beginner and intermediate students arranged recording sessions with professional studios to document songs in a professional environment complete with band and all! I combine a both classical note reading/theory with learning by ear. I simplify chords to get students playing quickly and to reap fulfillment from the very first lesson. I provide you with the basics in the first three lessons and resources online to help you get moving quickly. We discuss your specific performance goals and track your progress weekly. I am a beginner that was stuck with not knowing what to do with the knowledge I had from online sources, ie chords, scales and phrasing. Everything I did sounded the same because of my strumming patterns were all the same. Aimee got right to work in just the right area to help me hear new sounds by different strumming patterns. I am very pleased with Aimee's teaching style and environment. Looking forward to second lesson. Came in there and learned exactly what I wanted to learn. Was ultra stuck at moving past 8 bars and Aimee helped me get past that. Now I'm finishing full arangements all thanks to her. I am a world-class, international touring singer/songwriter. My original songs have been played on over 200 radio and television stations all over the world, including the NPR syndicated series "UnderCurrents." I have studied with the top songwriting teachers from Los Angeles and also Berklee College. I have won ASCAPlus Awards for 7 years, and I am a member of The Recording Academy (The Grammys). I have taught songwriting for over 22 years. Writing songs is not as difficult as it may seem. I have guided many students through the process. It is truly a fun and creative time for both student and teacher. Some familiarity with harmonic and rhythmic concepts, as well as some analytic terminology is necessary to get the ideas out of your head and into the air. I like to start by analyzing the songs of others and discussing them. Then we get down to the brass tacks and talk about the song as if it were no different than the blueprint of a building. I am a professional Singer Songwriter and my specialty is in teaching singers how to write their own lyrics and melody. I am a professional singer in Austin Texas. I play live shows, I have gone on tour and have released an album. I love teaching people what I know. After singing behind closed doors for a portion of my life and secretly dreaming of being a singer, one day, I decided to take the plunge and start living my dream. I began writing music, playing live shows and training to teach voice. Shortly after, I started accepting students and helped them conquer their fears. After I conquered my own fears of singing, the world of opportunity opened up for me. I filled the role of choir director for a local church and my music now plays on Pandora, Spotify and I-tunes! I love to share my knowledge as a singer and aspire to teach fellow singers everything I know as a vocalist. Very good instructor. Would highly recommend! Love my classes with Hilary so far! I'm developing myself as a songwriter to launch my professional music project very soon. Half of the class is basic piano in order to be able to come up with melodies and the other half is writing lyrics/songs. Hilary is very sweet, patient and explains terms/theory in a very clear and easy way to understand. Songwriting can be a very vulnerable thing to do and Hilary creates a safe, professional space for the writing to happen. I'm excited to take more classes with her and definitely recommend her! Learn to improve your songwriting skills! We'll study chord progressions, melodies, rhythms, intros & outros, arranging & orchestration, form, instrumentation, lyric-writing and much more. Learn to play music that you love. I offer customized lessons based on your interests and the things you most want to learn. Using proven techniques from years of performing, research and teaching, I help my students make consistent progress while having fun! I've been working with Trevor for just over a year. His teaching goes beyond just dry technique and theory to answer the question "why am I doing this?" When you work with Trevor, there is purpose behind everything you do. He starts with your big picture goals and breaks them down into actionable steps that you can take feeling like it's going somewhere. This makes for way more efficient and exciting practice sessions. If you don't know exactly where you want to go with your playing, Trevor will help you find that as well. Trevor is an amazing teacher! He works with you to make a plan to learn whatever interests you. I can bring in any kind of music or style of playing and he will help me learn all of the elements. He is happy to go as far into theory as you want or stay more high level. Also has been very helpful in transitioning from learning tunes to writing and recording my own songs. Highly recommend. Trevor and I worked for about 3 months preparing for my audition that would decide if I was accepted into Berklee College of Music. He was very helpful and made sure I was well prepared for my audition. I continued to take guitar lessons with Trevor after my audition to prepare for music school. He is very helpful and I have learned so much from taking lessons with him. I'm a professional performer, composer and recording artist, now accepting guitar students. I play folk, rock, blues and finger style guitar and have studied with African guitar scholar Nathaniel Braddock. I've toured extensively in Europe and North America, opened for the band Wilco, and played at Chicago's well known music festival Lollapalooza. I enjoy working with children and adults of any age. I can teach from my studio in Northwest Hills or travel to your preferred location. excellent teacher/mentor.. My Son, has enjoyed his lessons. Adam is helping me get back to playing guitar after some 40 years in which I did not play at all. With his help, I’m refreshing what I used to know (basic chords and notes on the staff), and extending my skills into new areas, like finger-picking, barre chords, and tablature-reading--plus learning a lot of new songs. He’s an excellent teacher. As a middle aged man trying to learn an instrument, it was a daunting task to find a teacher that would work with me to learn the basics of guitar without laughing at my inability to actually play the darn thing. Adam has been a great teacher and exactly the sort of professional and understanding person I was looking for. While I don't think my mediocre (getting better every week) guitar skills are the best testament to Adam's ability as a teacher, I think the fact that he has encouraged me to stick with it and turn a crazy idea into a legitimate hobby is. Do you ever wonder what makes a song a bop? What is it about a song that makes you want to listen again and again? To make a song that lasts you must be a connoisseur, a hunter of beauty first and foremost. Developing this sensibility isn't easy but you can learn it as a starting point for songwriting. -The secret sauce for making a song that is close to being universally loved. -The elements of making a great groove. -Key components of writing a good melody. -A clear and specific checklist for a great song. -Valid feedback on improving your songs until you have raving fans that get addicted to your songs. Hi there, my name is Jeff Azar. I go by the one-man band Demi the Daredevil. For the past 14 years I've been working at putting songs together. In 2015 I began writing all of the parts of the song myself, and had certain epiphanies about what it was that makes a song addicting for the listener. Since then I've accumulated 24,000 followers and over 250,000 streams across platforms. This is all because I know how to write songs that are addicting for the listener. If you want a clear songwriting checklist and principles to follow to make songs that your audience loves, I can help you. Songwriting is my number one passion in life and there is nothing more that I love than truly beautiful music. Can't find a teacher in Coupland, TX? Austin, TX teacher: Hilary K.
arangements all thanks to her." Austin, TX teacher: Aimee B.
he basics, but I enjoyed learning her method (which, in a phrase, would have to be "keep going") and I plan to use it to see if it'll help with my productivity. Gfire was always very upbeat and positive without being phony, encouraging without being demanding, so the lessons were always enjoyable. I would recommend her."